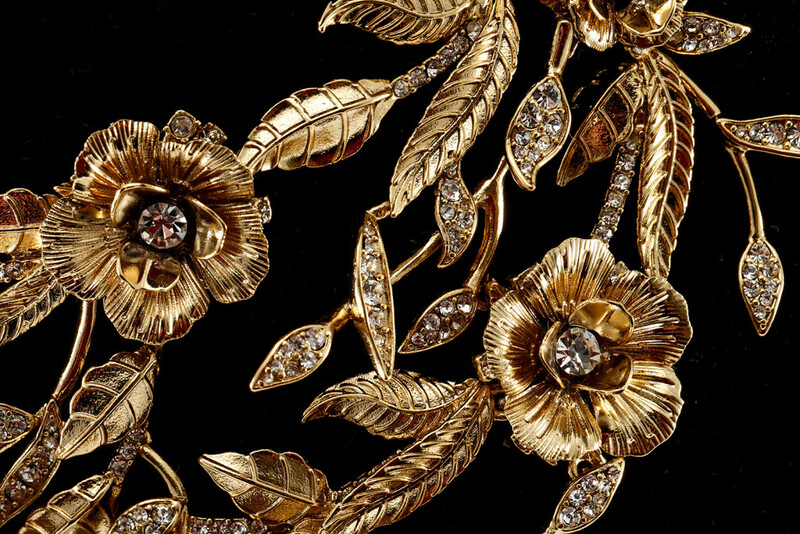 I saw this Marchesa necklace in the pages of one of my fashion magazines. I subscribe to them all so I could not tell you to any degree of certainty which one. However, I saw it and fell in love with it. I went to Nordstrom.com and found the necklace and earrings (not shown in photo we took below) and bought them both as a sort of late Christmas/early Valentine’s Day gift to myself. It was a bit of an impulse buy, but those can be the best kind! The necklace is exquisite. It is everything that the online photo advertised and more. 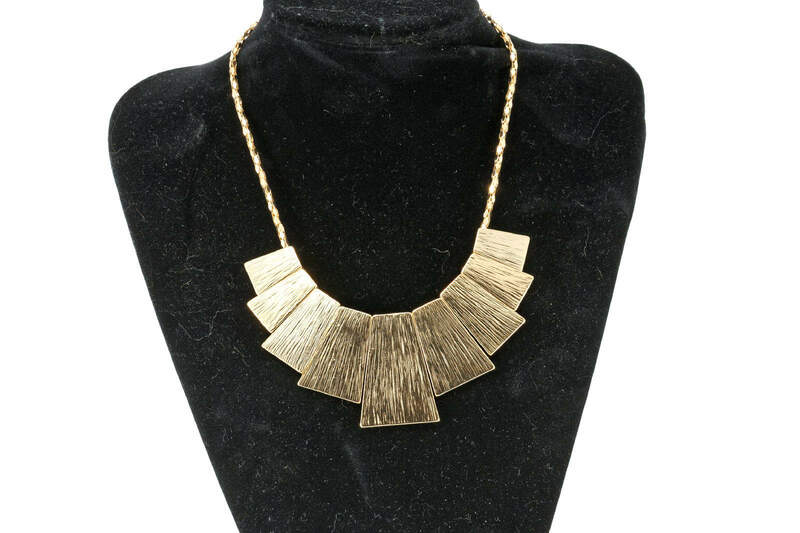 It is very luxurious and fits much like a choker, but it has plenty of volume to it. 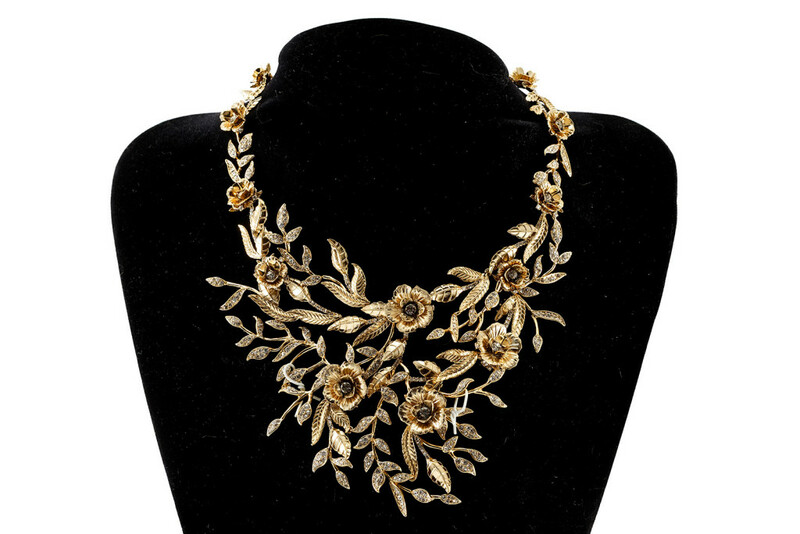 The necklace contains several gold roses with crystals in the center. I have not worn in yet, but I can think of an upcoming romantic holiday coming up for which it might be perfect! Polka Dots & Leather Skirt Anyone? 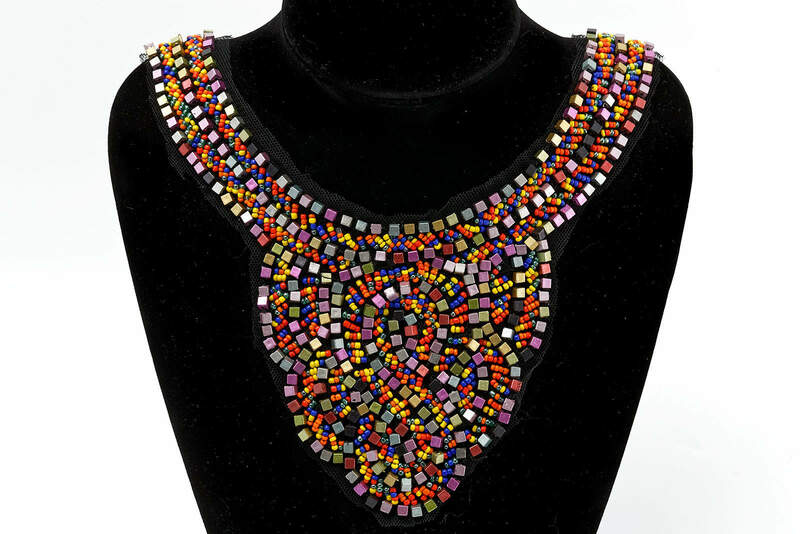 I also love the necklace and with the earrings what a statement it makes.i can see why it was a must. Just waiting to see the pic with you wearing it. I love the necklace! It’s a stunner! Gorgeous!! I need this necklace! Thanks! I love it too! Wow, what a stunner! In my mind I can see it pairing really nicely with a long greek goddess style dress!